The aging process can affect every aspect of your life, including your health and your finances. As you get older and move into retirement, your source of income shifts and your sources of insurance coverage change. You may also develop many more medical issues, including health problems that one day result in the need for nursing home care. How can a Long Island, NY elder law attorney help with Medicaid planning? Almost half the population spends some time in a nursing home or assisted living care facility at some point in their lives. Unfortunately, the cost of skilled nursing care is beyond the reach of most family’s budgets. Nursing homes can cost more than $100,000 each year and insurance typically does not cover these astronomical costs. The good news is, government-run Medicaid does provide payments for nursing home care. The bad news is, you could be forced to spend down a good portion of your estate and to lose the assets you have worked for over your life in order to get covered. Medicaid planning is aimed at making sure this unfortunate situation does not arise. When you work with an elder law attorney to develop a plan well in advance of the time when long-term care becomes necessary, you can protect your assets. If and when nursing home care is required, Medicaid will cover you right away and you can have your nursing home care costs paid while your assets are kept safe for your family. It is very important to begin Medicaid planning early, because the process involves transferring assets. When you seek to have your nursing care covered, there is a five-year look back period. Essentially, this means if you transferred assets during this time period, you will not immediately be eligible for nursing home coverage. The period of disqualification is determined by dividing the value of transferred assets by the average monthly cost of nursing home care in your area. Even a brief delay in Medicaid nursing home coverage can cost thousands of dollars, so don’t wait. 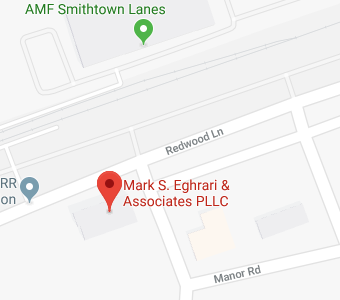 The Long Island elder law attorneys at Eghrari Law Firm have helped many clients to plan ahead for their financial security by getting Medicaid planning done early. Medicaid planning can be a simple process when you have help from an elder law attorney who knows the rules. It generally involves the creation of a trust and transferring your assets into that trust. The trust owns the assets, not you, so the assets do not count as assets when Medicaid determines you are eligible for means-tested benefits like nursing home coverage. The rules are very strict regarding what types of trusts can be used for Medicaid planning and the process of determining what assets to transfer into the trust can be complex for those who are not familiar with the Medicaid planning process. An experienced elder law attorney at Eghrari Law Firm has helped many clients to successfully use trust laws to ensure their assets are protected. How can a Long Island, NY Elder Law Attorney Help? Medicaid planning is an essential step in protecting your assets and securing your legacy. However, it is only a part of the process in creating a comprehensive plan for your future. You need an elder law attorney who is prepared to help you explore all of your options for managing your health needs and your financial needs as you get older. Eghrari Law Firm is a compassionate, caring and professional firm that knows elder law in New York and has that has the experience and track-record of success to prove we are worthy of trust as you plan ahead to create a more certain future for yourself and those you love. To learn more about how we can help and to get started on the Medicaid planning process with the assistance of a Long Island, NY elder law attorney, give us a call today.